Divorce Corp.’s inaugural Family Law Reform Conference will take place in Alexandria, Virginia on November 15-16, 2014. When the 2014 documentary, Divorce Corp, exposed the devastation caused by the U.S. divorce industry, many victims of the legal system cried out for action. The movie’s director, Dr. Joseph (Joe) Sorge, responded by offering to host a conference on family law reform, focused on changing the laws in a way that will help the general public navigate this difficult and trying process. Modern family roles and structures have evolved, yet the laws have not. 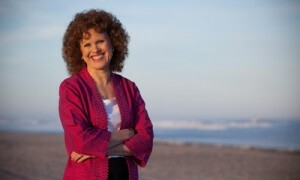 In response, the Divorce Corp team has organized a unique convergence of speakers and workshops to both raise the public profile of the reform movement and lay the foundation for new laws. Topics to be addressed include child custody, child support, alimony, judicial oversight, domestic violence, parental rights, children’s rights, judicial bias, and mediation versus litigation. Conference panel discussions and workshops will present a forum for learning, participating, and intermingling with others who share the focus and goal of real family law reform. Child Support — Who Benefits? Do Our Family Laws Reconcile With Modern Social Trends? Are Family Courts the New Mafia? The conference takes place at theWestin Hotel. It opens at 8 am, Nov. 15 and concludes at 4:30 pm Nov 16. 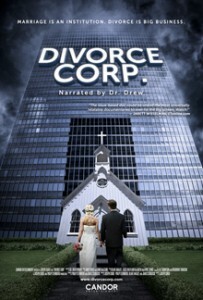 For more information, or to register, please visit www.divorcecorp.com or contact [email protected]. I’m going. 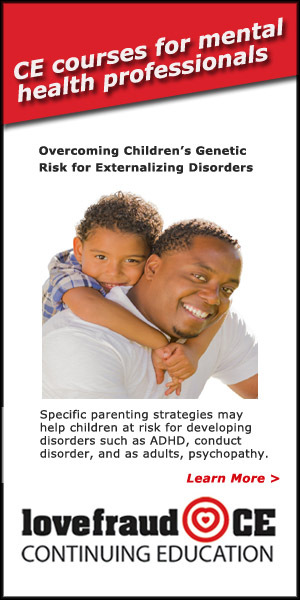 I plan to focus on how to improve psychological and custody evaluation procedures during divorce from anyone alleged to be abusive or have a personality disorder, especially those tied to abuse and violence. And how to set in motion an automatic procedure which reduces litigation abuses in those cases, while getting to more accurate answers. I looked over the speakers, their backgrounds, the topics, and I fear that psychopathy/sociopathy is not at all on the agenda. It seems to be more about giving both parents equal voice/rights because that is fair and in the best interests of the children. What I mean is, there seems to be a tacit assumption that people going through a divorce are mentally normal, even if not perfect. There also seems to be a running thread in the topics/speakers’ backgrounds, that reform is needed in order to help fathers be full participants in raising the children, alimony reform, parental alienation, and false domestic abuse allegations, etc. I hope enough people attend this conference who understand the impact of sociopathy and domestic violence on families (if one person is disordered). Since there seems to be a (subtle?) focus on father’s rights and the intimation that women are making false abuse allegations in order to win custody, I certainly hope there will be some males who attend this conference who understand the issues of sociopathy and will speak up about it. 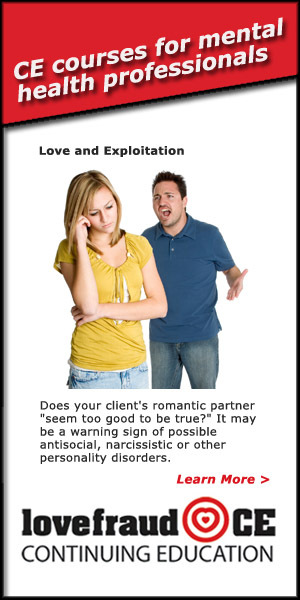 We all know that false allegations happen but most partners who do report domestic violence are telling the truth. When it happened to me, I hesitated for so long to report it because I didn’t want to make a big deal about it, but when it came down to harming my children, that is when I went to the police. 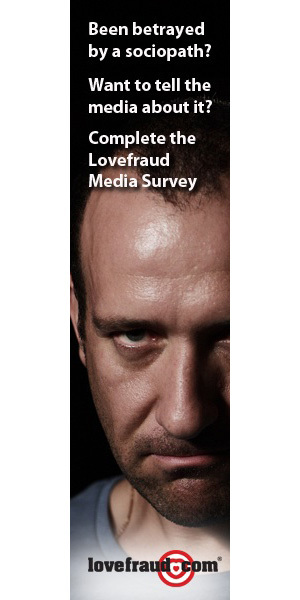 And then, I had to jump through all sorts of awful interrogations so that they could be sure I was telling the truth. I mean, I was told explicitly (as though I were a bad child being scolded) that there were penalties for making false allegations, and every statement I made was looked at doubtfully. So truly, it is not easy to speak up and seek help, when your attempts are treated as self serving lies. Escapefor1, thank you for attending this conference. I really look forward to hearing your report on what you experience there. I am sorry to hear of your experience with being doubted, 20years. It is bad enough to make the scary decision to leave without then facing all the doubts and judgements of all involved. See my comment below for my more general response. But I wanted to specifically address the issue you raise of the victim being doubted. Basically it is often hard for the court to determine who is the abuser/perpetrator and who is the victim, especially in he said/she said cases. I guess before I got into all this myself, I would have thought it was obvious. I hoped the court would see who was reasonable and who was not. But as we know, it does not work like that much of the time. 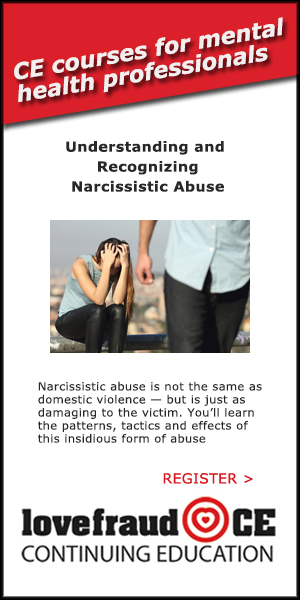 As I talked with lawyers and psychologists in my own case, it rapidly became obvious to me that victims, myself included, because we are so upset and stressed and run down, can come across as less “together” than our calm, cool, and collected personality-disordered, abusive spouses. Psychopaths especially, but many Cluster B PDs, don’t feel the range or strength of emotions that the caring, empathic, concerned-for-children victims are feeling. It is quite common for these sociopaths to fool therapists, evaluators, lawyers, and judges into thinking that they are the more rational one. That is especially true when the sociopaths cry victim and turn the tables. 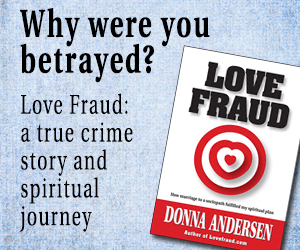 It is not unlike what they tell the next girlfriend or boyfriend about the ex, or how they disparage us to friends and family. Of course, they say we are crazy, we are abusive, we are lying, making things up, etc. Even in the case where a full psychological evaluation of everyone involved is ordered in addition to any custody evaluation (which as I understand it is pretty rare), the specialty tests that would clearly identify someone as some variety of sociopath are not allowed to be used in a divorce case. This is because they have not yet been tested in people under the stresses of divorce. So, if an evaluator uses these tests, well-validated for other uses, he or she would be discredited and possibly their conclusions ignored. It seems very clear to me that if such tests could be applied to both parties early in the process, that things would get a whole lot clearer. So, this is one thing I would recommend. There is a pathway that needs to be followed to make that possible. 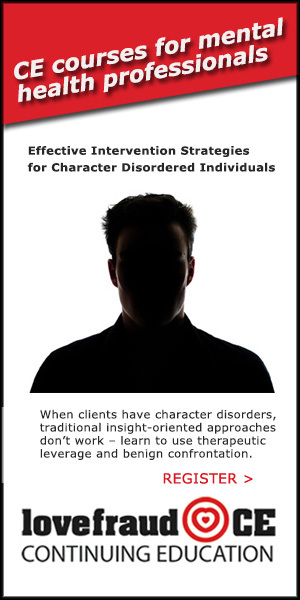 Then, people who have the power to do so, need to consider changing the legal process to reflect these new tools and new understanding of cases involving those with personality disorders. 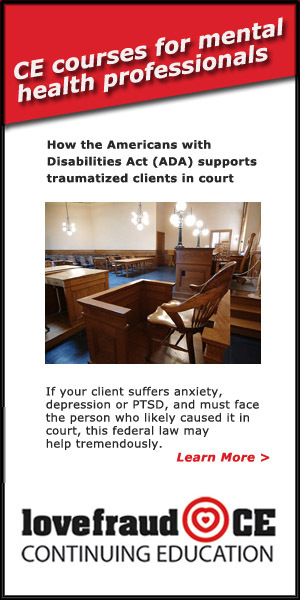 Then, even if you can show problematic psychological dysfunction, the court may not know what that means or care. So, it has to be translated into behavior. In a no-fault state, that mostly just concerns the children — what effect will it have on them and what is in their best interests? In states or locales where other laws reign, other behaviors might be relevant. Even in some no-fault states, there is some concept like “wastage” if there has been a serious hidden drain of financial resources, like compulsive gambling. 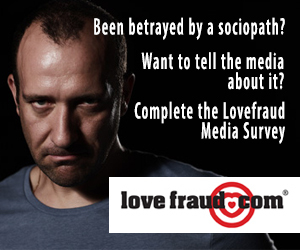 That all assumes the sociopath has avoided outright criminal conduct. So, I realize the testing is just a start, but a good, objective one. In my case, and I suspect in many others, such testing could probably have avoided many months of elapsed court case time and tens of thousands of dollars. 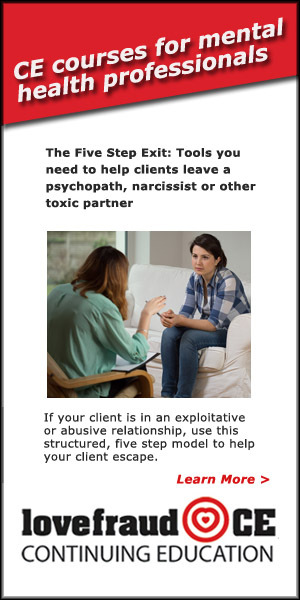 The lawyers, if there are any, of the sociopath may not realize early enough that their client is psychologically dysfunctional. The lawyers for mine, unfortunately, did not until during the trial, when they were sandbagged as it all came clear. They were representing what they thought was reality and the best interests of their client, but it was all made up in his mind! What a waste that it had to go that far before finding that out, and just dealing with possible realities! I don’t mean what I or he thought was fair, just physically even possible. Dear Escapefor1, I hope you know you have the gratitude and support of all of us at LF and we will all be looking forward to your report. Most of us have just resigned ourselves to being “losers” as the judicial system itself is riddled with powerful, monied sociopaths who put on a good show but basically are not the least bit interested in seeking “justice” or reform. Thanks. I was one of those “losers” too, as my knowledge of divorce before going through it was what I saw on TV. Hah, we all know that’s not how it turns out when you are divorcing a sociopath! Interestingly, and I forget the precise details now, but will review it all before I go, the sponsor of this group went through a pretty horrific divorce too. He’s a smart guy and decided to look into how to fix the system. He was passionate enough about all of this to make a documentary as well. Reading between the lines, I am wondering if perhaps he can relate to us. The topic as I understand it is more general divorce reform. 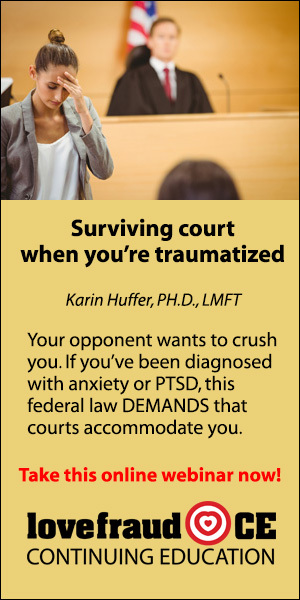 Yet, I want to bring this whole issue of how psychologically dysfunctional people abuse the court system and those it should be protecting with litigation abuse. In my own research for my own case (as I had to “run” much of it due to most lawyers not really understanding what NPD, BPD, and psychopathy can do), I was appalled to see that in 2-3 studies I saw conducted in different states, that roughly 70% of the time, abusers won majority custody of their children. Meanwhile, the usual course with sociopaths seems to be litigation, rather than mediation, and unreasonable litigation at that. 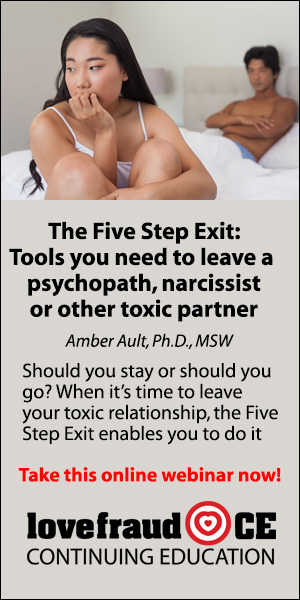 So, I would like to try to brainstorm and suggest some ways to fix these approaches that are not working in complex divorce cases. Through my own experience and research, I have some ideas on how to do that. I welcome anybody else’s ideas or observations from this site. I have considered writing a brief thought piece / white paper of sorts to hand out at this conference. Suggestions are welcome. Particularly from professionals — lawyers, judges, psychologists, psychiatrists, etc. I am not any of those. Just a victim who sees a possible better way. Escapefor1 – Thank you for your efforts. I interviewed the director of the Divorce Corp movie, Joe Sorge. Actually, he did get a divorce, but it wasn’t horrific. But as he was sitting in court waiting for his appearances, he saw what was going on in other cases, and was horrified. That’s why he decided to look into the issue. His objective was to expose the divorce machine. Even when there aren’t sociopaths involved, the divorce industry – lawyers, experts, judges – has to keep feeding itself. What he found was that they keep running up the bill until all the money is gone. This often happens even when the parties aren’t sociopaths and no one is abusing the kids. However, it is important to explain how sociopaths make the process even worse. I’m glad you’re taking that on.